The art world is changing and it’s not unusual for artists or independent curators to open a pop up gallery to welcome clients and art collectors. This has proven to be an efficient way for them to control the art they wish to show, their image, and of course their own marketing. All while measuring the risks and long term commitments, as these pop up locations with storefronts can be booked for as little as a few days. 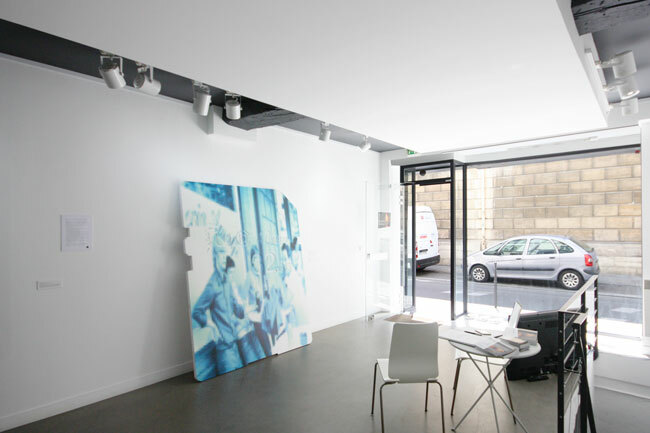 It’s now easy to rent a gallery to exhibit your very own art, or your artists, and to benefit from the visibility of spaces all located in what is considered the center of the Paris art scene. Equipped with rails, our three pop up spaces are located rue Charlot, rue de Poitou and rue Saint Claude, in the heart of the Haut Marais, along side all the major art galleries. So put yourself out there and on the map for all the art lovers visiting the city. For the last ten years, the most prestigious art galleries have opened up in the Marais, one of the oldest districts in Paris – and particularly in the arty and trendy Haut Marais area, close to rue Debelleyme, rue Saint Claude, rue de Poitou and rue de Turenne. Galleries continue to open up here, forming a cultural itinerary enjoyed by amateurs. The new Picasso museum, the Carreau du Temple – which hosts art fairs and young designers – all contribute to making the area a true hotspot for art in Paris. Our spaces are made for showing art. Rent a gallery to show art in the Marais : our spaces are equipped with rails to make the whole process easy for paintings or photography. 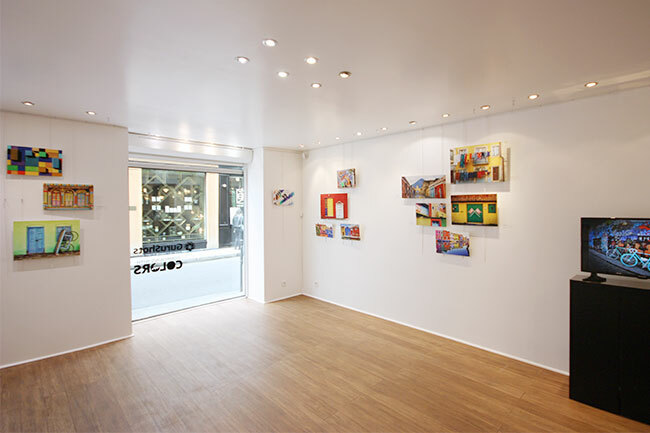 The gallery rue Saint Claude is a contemporary white box, whereas the rue Charlot space is entirely different with wooden floors and warmer colours. In each venue you will find a functional art display system : rails, hanging cables, rods and hooks giving you the flexibility to adjust your artwork. When to rent a gallery? All year round, but not only. Renting an art gallery in Paris is obviously possible all year round, but we would strongly recommend it during the important art fairs. Renting a space during FIAC, Paris Photo, or Art Paris is a smart way to make sure you’ll reach as many international amateurs and collectors as possible, simply because thousands arrive in town with one goal : to view as much art as possible. And guess what : most of them at some point do stop by the Marais district because this is where all the major galleries are.